New Delhi is known for historic sites, parks, shopping, museums, and fun & games. Your plan includes some of its best attractions: take in nature's colorful creations at Humayun's Tomb, steep yourself in history at Gandhi Smriti, enjoy breathtaking views from Qutub Minar, and indulge in some culinary diversions at a local gastronomic tour. 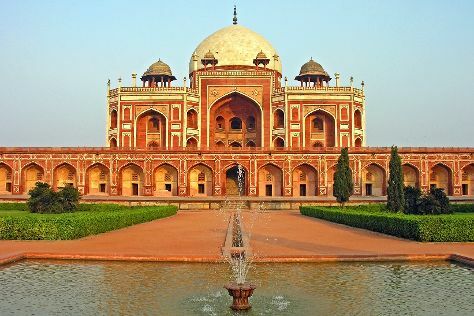 For where to stay, traveler tips, more things to do, and more tourist information, go to the New Delhi online trip itinerary planner . If you are flying in from United States, the closest major airport is Indira Gandhi International Airport. In April, daytime highs in New Delhi are 98°F, while nighttime lows are 71°F. Finish your sightseeing early on the 1st (Tue) to allow enough time to travel back home.